How Can I Go Pulp Fiction Comics & Games, LLC? Where is Pulp Fiction Comics & Games, LLC in Lee's Summit on the Map? Not your typical game store staffed by tattooed teenyboppers who stare at you like "whatever man...just like...let me play phone games ahkay?" The staff here is intelligent, mature, friendly, and KNOWLEDGEABLE. 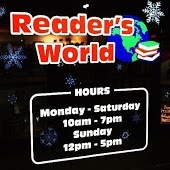 Great selection of games, fun space to play games...stop by and enjoy. I moved to Lee's Summit this past summer, and was in need of locating a place to play Magic: The Gathering and purchase comics. These guys have been one of the friendliest and welcoming groups I've ever dealt with. They keep a great selection of products available, and are more than willing to address any questions and concerns. Great selection of games, comics, and pulp. Awesomely helpful and knowledgeable service. When it comes to either comics or games these guys know it! Amazing selection of card, board, and table top games. Very nice and helpful staff. Best place in the whole metro area, won't go anywhere else! So refreshing to walk into a comic store and not be treated to a condescending prick behind the counter. Thank you Pulp Fiction.